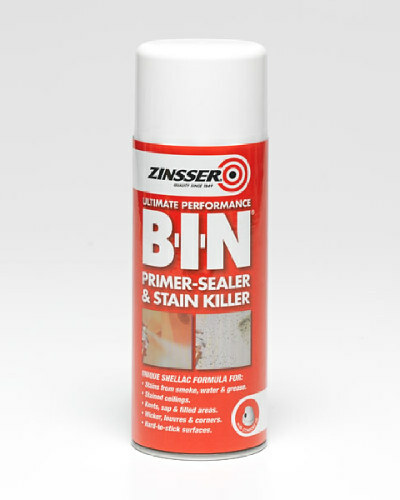 Stain killing primer, sealer and finish. Very low odour. One coat effectively blocks stains. 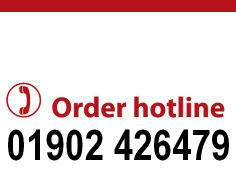 CoversUp Aerosol is a low odour vertical aerosol that is a stain killer and ceiling touch-up paint in one. 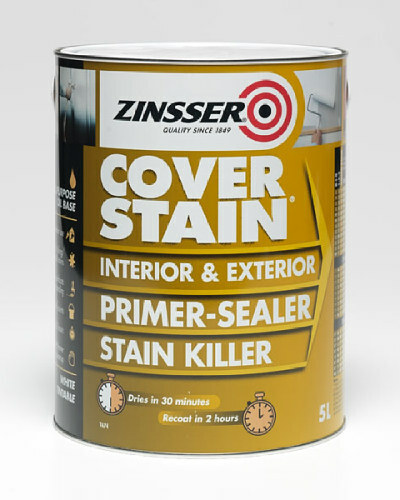 Zinssers stain blocking primer technology is incorporated into this next generation product that offers a flat white finish, which matches most acoustic ceiling tiles and white ceiling paints. 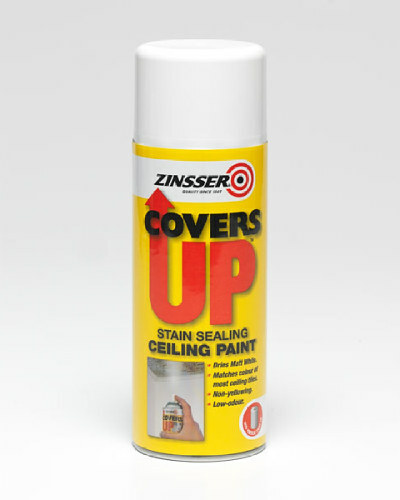 CoversUp is a great stain blocking primer for any ceiling surface. 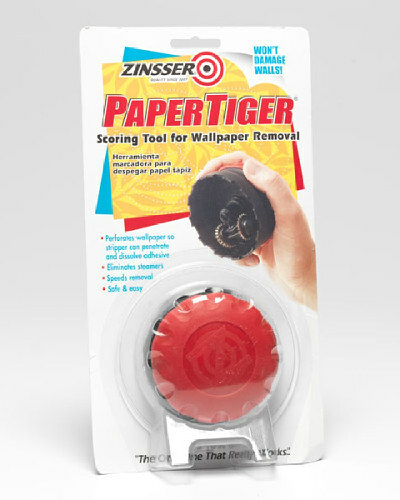 It is the perfect touch up paint when you do not want to repaint the entire ceiling due to spot damage. 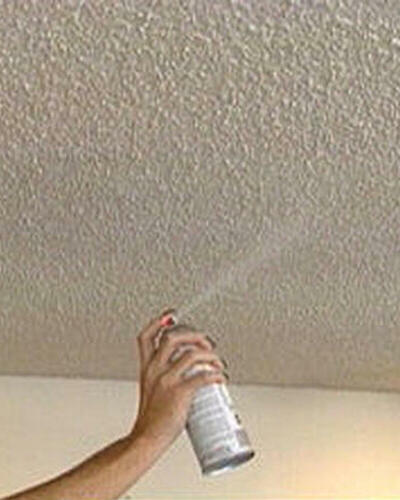 One coat of CoversUp permanently blocks and seals most common ceiling stains. 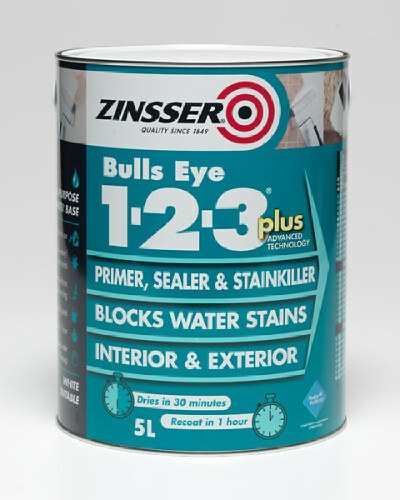 The 420ml aerosol is designed to meet the demands of professional and larger home improvement projects. 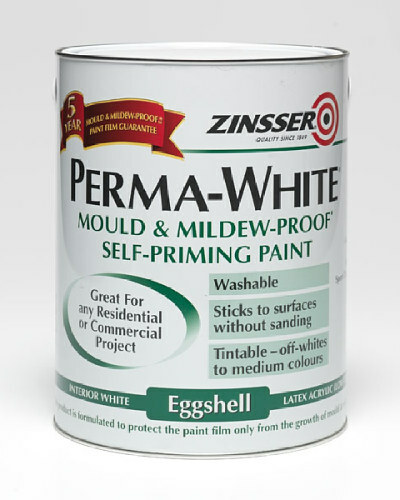 The non-yellowing solvent-based formula dries in just 30 minutes and can be applied under or over any solvent-based or water-based topcoat. 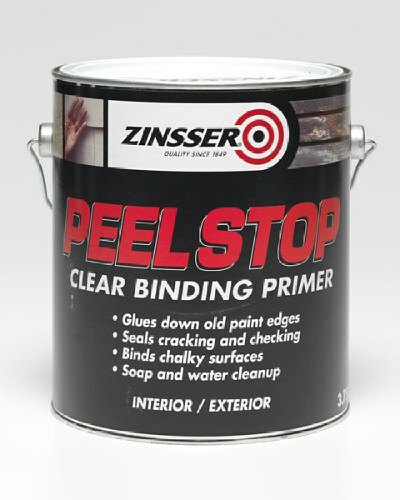 When used as a primer CoversUp can be top coated with any paint in just two hours.